Gift Vouchers available for both males and females. If your loved one is keen to get into tip top shape - and/or you for them! 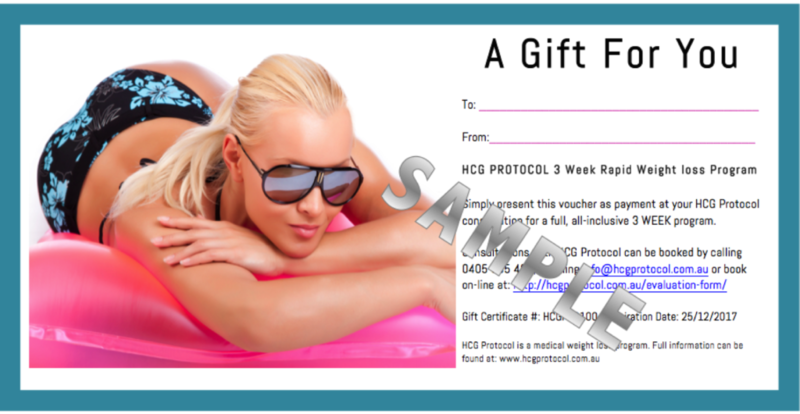 - then give each other a gift of health and well being from HCG Protocol - 3 or 6 week rapid fat loss program. 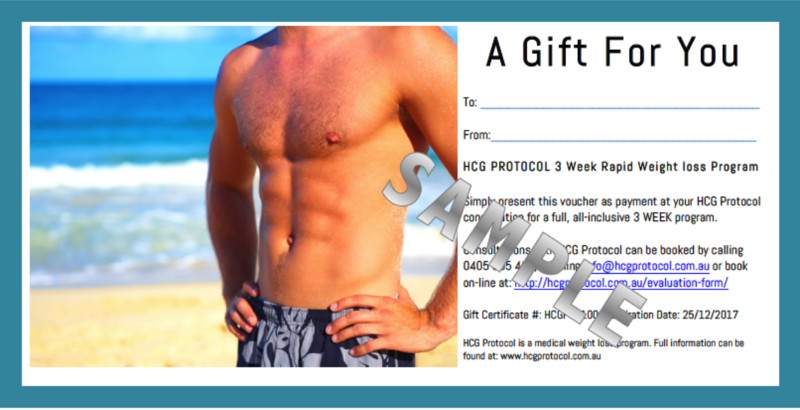 Simply call us on 0404 505 498 to organise your Gift Voucher or to book an obligation free consultation. 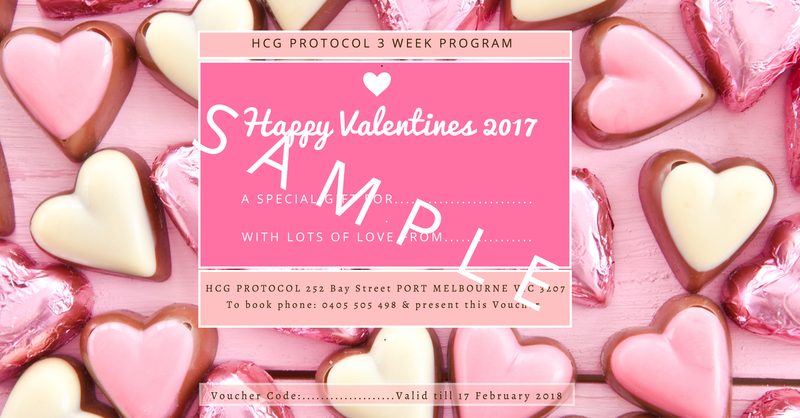 If you both purchase a voucher for each other, you will also be entitled to our special couples discount of $100 off a 3 week program and $150 OFF a 6 week program - see details here. If you first want to make sure that the program is right for you, you can simply complete our evaluation form and a consultant will contact you.